The famous theme song for Walt Disney’s Carousel of Progress declares “There’s a great, big, beautiful tomorrow shining at the end of every day,” but sometimes the promise of tomorrow has already come true today! Walt Disney tasked his Imagineers to envision ways to make our future bright, and the stories they told with classic theme park attractions like Spaceship Earth, Horizons, and the House of the Future promised us a future where robots helped us around the house, humans lived in space, and cars were crafted on the cutting edge. Does that sound like a fantastical future, or marvelous modern day? 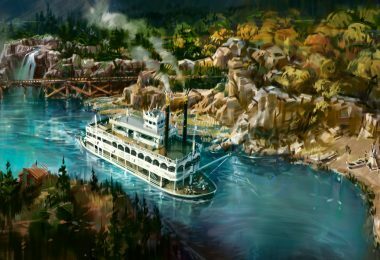 You may be surprised to learn just what kind of innovations Walt and the Imagineers predicted that are in use today! You just finished a video call on your laptop with your best friend, who happens to be working in China right now. You pick up your phone and see you have a Snapchat from your sister—another cat video! 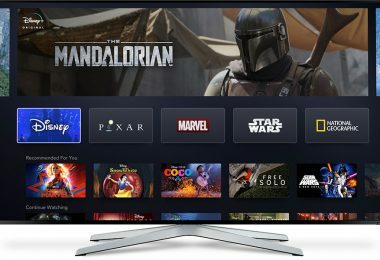 You send back a video of your dog, snoring on your couch, and don’t even think twice about what kind of futuristic wonders you just participated in. But back in 1982, everyday use of video chat was an amazing technological wonder of the future. 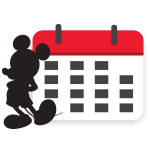 On opening day, Epcot introduced WorldKey Information, in which guests could actually see a Cast Member while booking reservations. 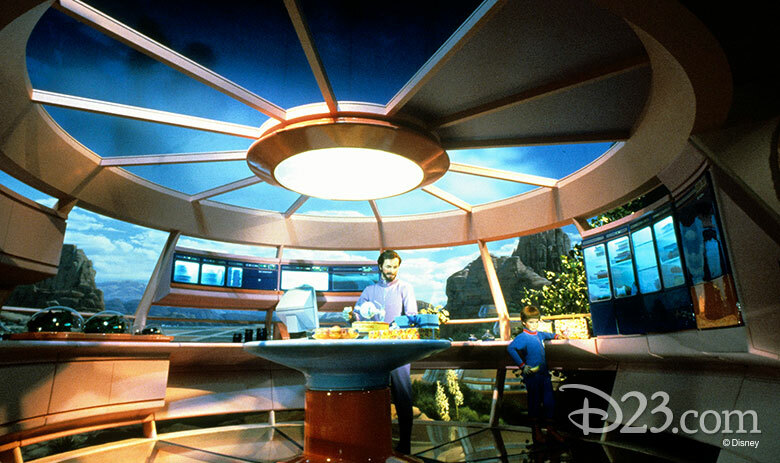 A year later, the fondly-remembered Epcot attraction Horizons opened and imagined what the world would be like in the 21st century. While not everything in “tomorrow’s windows”—i.e. achievable visions of the future—has yet been reached (we haven’t started building underwater cities yet! ), the attraction envisioned the use of video chatting as a modern form of communication. 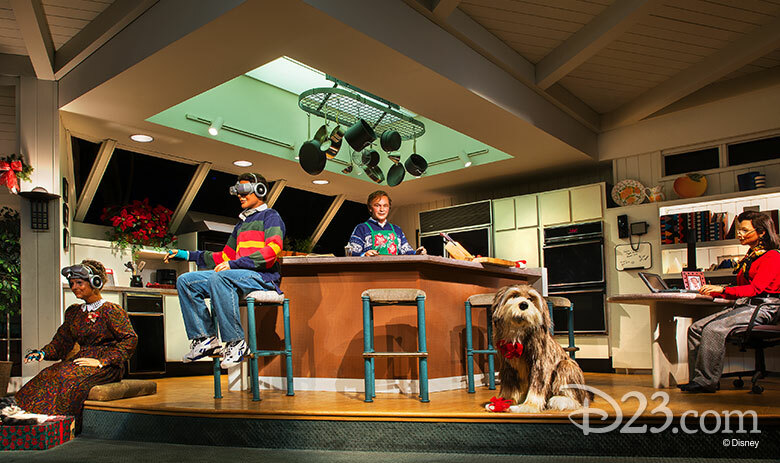 Additionally, the 1994 version of Epcot’s iconic Spaceship Earth featured a future scene of an boy in America talking to a girl in Japan through video. At the time, the concept was still uncommon, but now the ability to talk with an international friend over video is as easy as picking up your phone! It’s fun to be free! 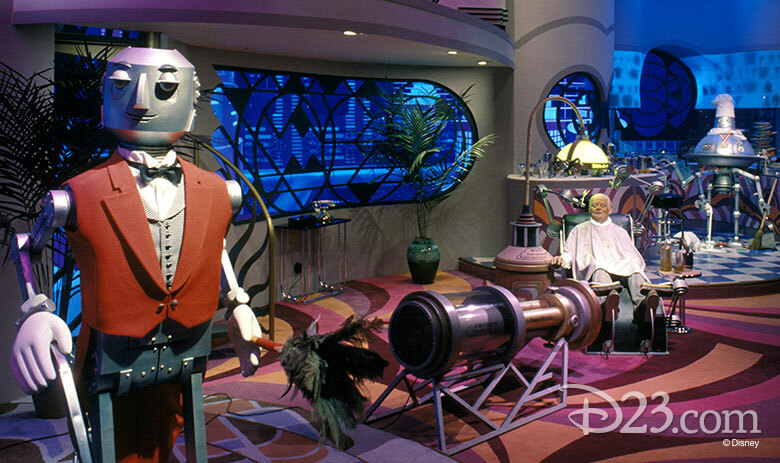 The classic Epcot attraction World of Motion humorously showcased the history of human transportation through the years, from the wonders of “foot power” all the way to the not-too-distant future city. 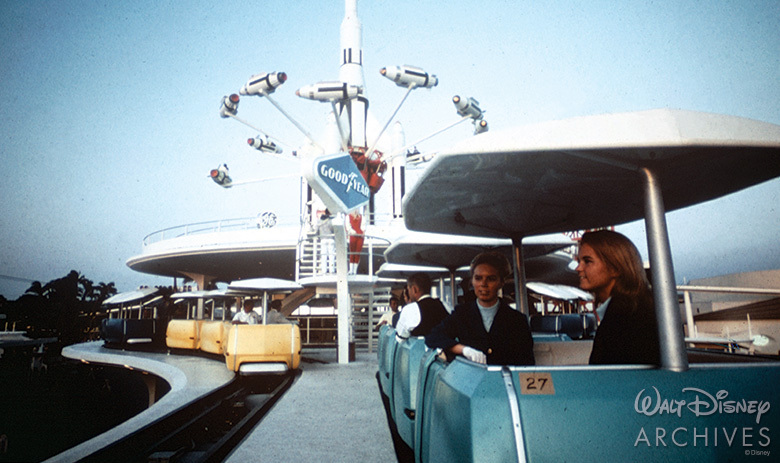 After riding the beloved attraction, guests could explore the Transcenter, an elaborate display showing off futuristic car designs, such as the Aero 2000. The sleek Aero 2000 was shiny, silver, and designed for minimal wind resistance, but it also featured an exciting array of special features: handle-less doors, voice commands, satellite display, a rear view camera… are these features sounding futuristic to you, or did you use one of those functions in your car today? Yes, World of Motion featured wacky scenes of an explorer coming face-to-face with a whimsical sea serpent, or an Audio-Animatronics® used-chariot salesman selling his wares to fellow Romans, but it also took the proposition of future transportation seriously, and gave us a peek into a very real future for us! Serenely travelling across the skies of Tomorrowland, the PeopleMover was Walt Disney’s idea for an intra-city transportation system. Within Tomorrowland at Disneyland and the Magic Kingdom, the PeopleMover has provided guests with a peek inside different attractions while safely and efficiently transporting them around the park using environmentally-friendly linear induction motors. 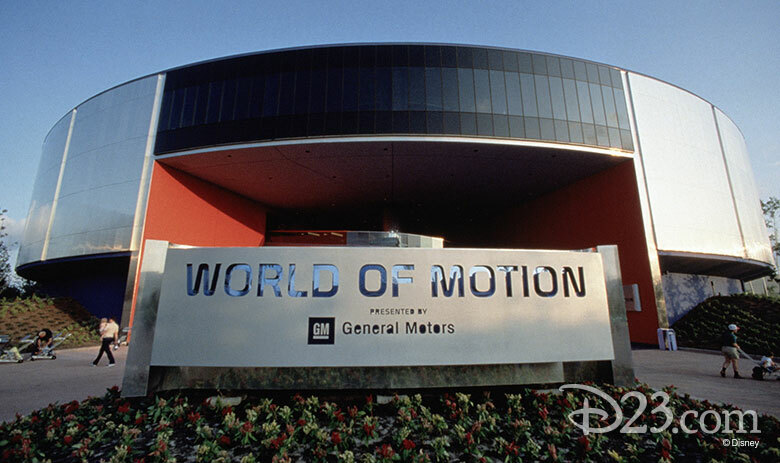 This technology actually became functional transportation just as Walt predicted when, in 1981, WED Transportation Systems (a division of what is now Walt Disney Imagineering) created a version of the WEDway PeopleMover for the Houston Intercontinental Airport. This version of the technology is currently simply called The Subway, but it is currently in operation at the airport and making Walt’s dream of future transportation come true today! 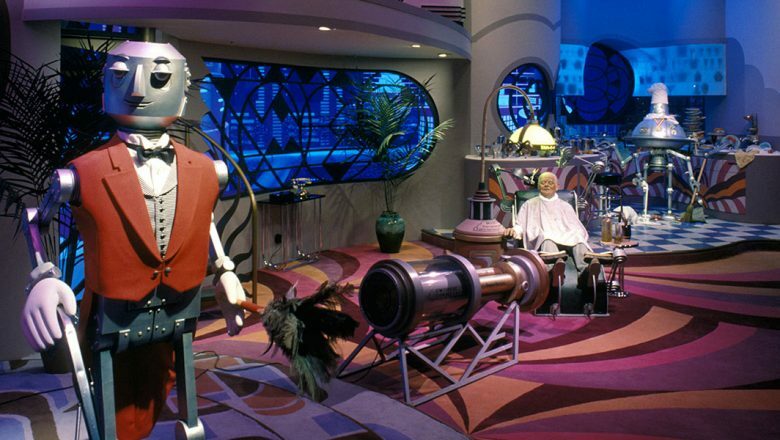 The space station Brava Centauri, with its zero-gravity exercise rooms, space wheel, and hologram screens, appeared as an out-of-this world fantasy to riders who explored the different future worlds of Horizons. While we may not have a full city floating in space today, the concept of a space station has still transformed from Disney magic to world reality. The International Space Station began construction in 1998 and is currently used internationally for research and has been occupied for 16 years since 2000. Prior to that, both Russia and the United States have built smaller, shorter-lived space stations to orbit the earth as well. We may not be harvesting space crystals up there like the citizens of Brava Centauri once did, but the fantastic future of humans living in space is now a fantastic reality! 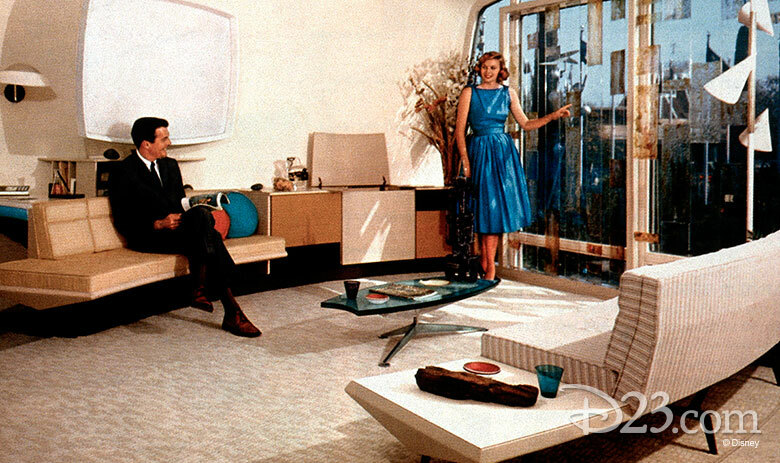 Exploring the classic Monsanto House of the Future attraction in Disneyland’s Tomorrowland opened up guests to a wide world of technological marvels: plastic furniture! Flat screen TVs! Even a microwave oven! Back in 1957, these revelations seemed like truly futuristic propositions, but now they are everyday items in our home. But the House of the Future also predicted more fun futuristic technology, like a sound system for your shower! Today, you want to get your groove on while getting clean; you don’t need to live in a giant, white modular house in the middle of Tomorrowland. 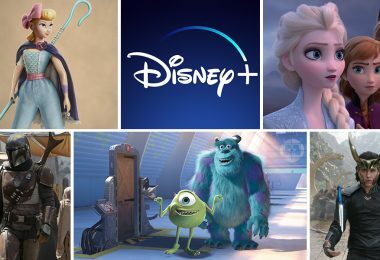 You can use anything from a full, in-shower sound system, to waterproof speakers, to speakerphone attachments so you can waltz while you wash.
Horizons created a future world of new ideas—“If we can dream it, we can do it,” the attraction famously declared. Some ideas, like video chatting, were exciting and cutting-edge promises of a better future. 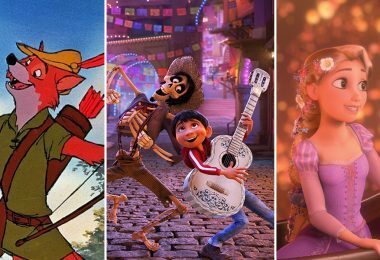 In the “Looking Back at Tomorrow” sequence, the attraction also showcased yesterday’s visions of the future, including some ideas that were a bit on the… sillier side. Who could forget the overworked robot chef, trying his hardest to multitask in the kitchen, or the robot butler dusting and vacuuming in his fancy suit? Well, we did dream it, so guess what? 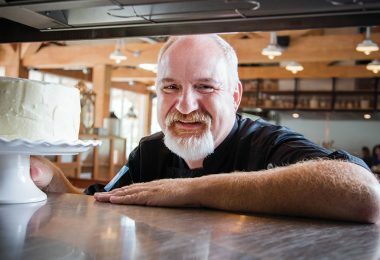 It may not be able to sweep your floors, cook a full meal, and (accidentally) feed your cat all at once, like Horizons’ robot chef, but you can find a robotic kitchen that can make a mean meal in 30 minutes—proof that even the silliest dreams of the future can come true! And we may not have a humanoid robotic butler to clean our house like Horizons suggested, but nowadays you can get a robotic vacuum that roams your house freely and takes care of at least one chore for you! It’s amazing what kind of inventions can be conceived when someone puts their imagination to work.